Beer Store Leukemia Bottle Drive begins tomorrow, bring in your returns! 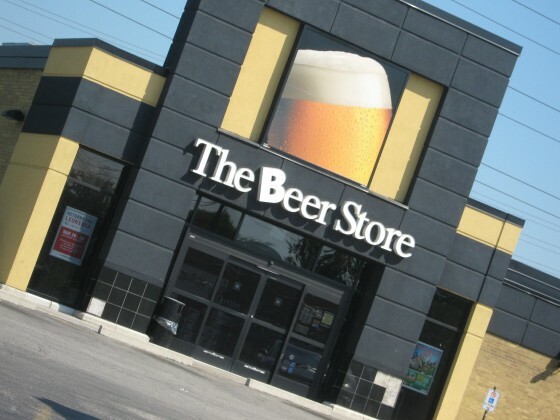 The Beer Store’s annual Returns for Leukemia Bottle Drive is tomorrow and Sunday. If you have wine, beer or liquor bottles to return, consider taking them in this Saturday or Sunday and donating your return cash to leukemia and lymphoma research. The United Food & Commercial Workers Local 12R24 has been running the Bottle Drive across Ontario for years, but only recently have local employees Nick Russel and Stephen Hawkins bonded together to concentrate local fundraising efforts. In 2009, two Windsor Beer Stores (Dougall & Norfolk, Walker & Richmond) raised $42,000 toward leukemia and lymphoma research, out of a total of $830,000 Ontario-wide. As windsoriteDOTca reporter Kari Gignac reported last week, The Leukemia & Lymphoma Society of Canada hopes to raise over a million dollars this weekend. It’s a great cause! Come and enjoy BBQ’d food and bring in your returns. Check out our previous article by Kari Gignac. For more information, join the Returns for Leukemia — Windsor Facebook page.